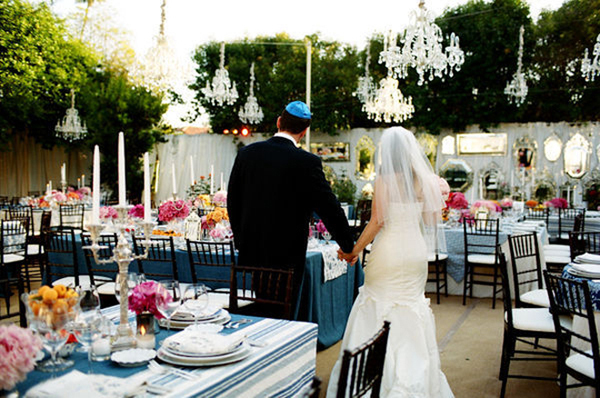 Nice weather usually implies the outdoor wedding ceremony, cocktail hour and reception. The outdoor scenery is distinguished with the fresh air and beautiful views. 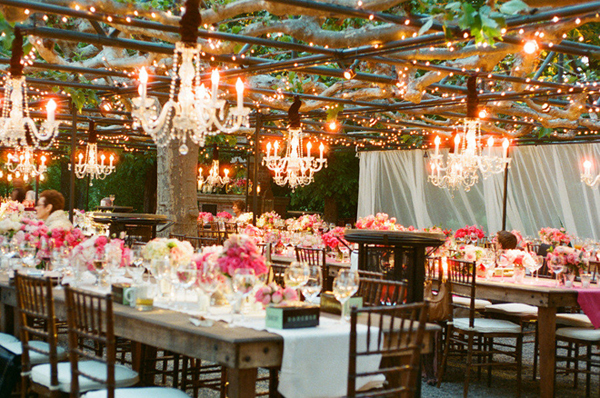 Besides, the open air guarantees the better appetite of your guests. Even though outdoor setting is charming and beautiful itself, the elegant accents in decorating will make it look even better. 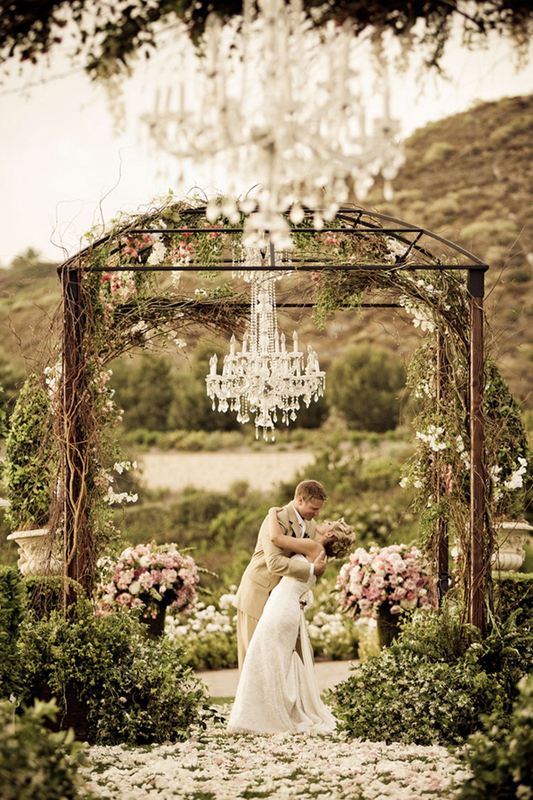 One of the ways to bring the glamorous and graceful feel to your wedding decorations is opting for the chandeliers. 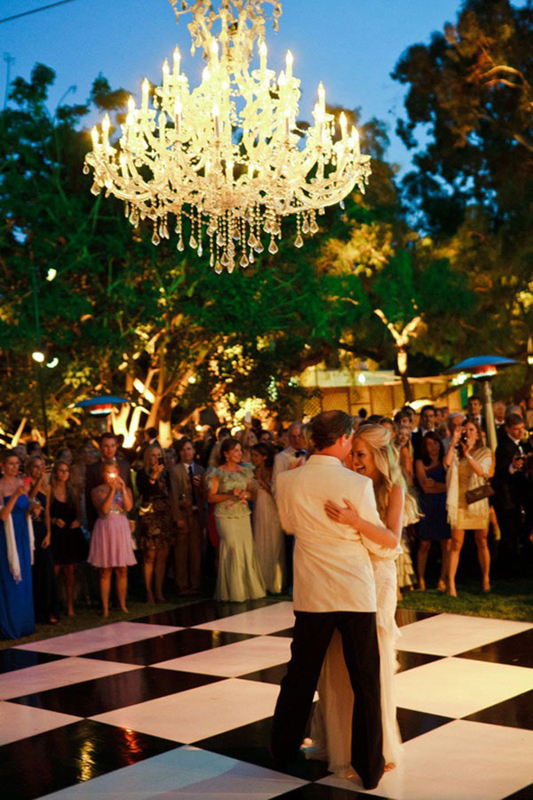 The nice thing about chandeliers is not only their classy and romantic look, but also the lighting effect. If you want to bring the feel of vintage and elegance to your wedding celebration, then you just cannot miss adding these magical elements into wedding decorations. 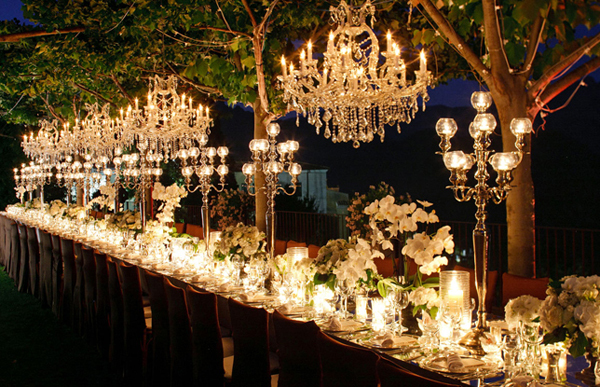 The special chic could be reached by combining the elegant and rustic style expressed through the sophisticated crystal chandeliers in a classic style hanged over the rustic tables with the nice scenery in the background. 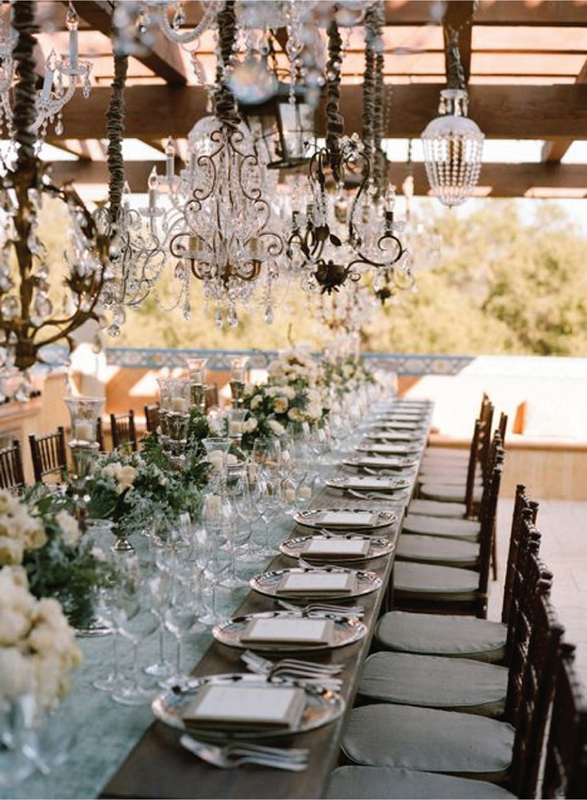 The big crystal chandeliers look especially chic when placed in the dusty country setting. 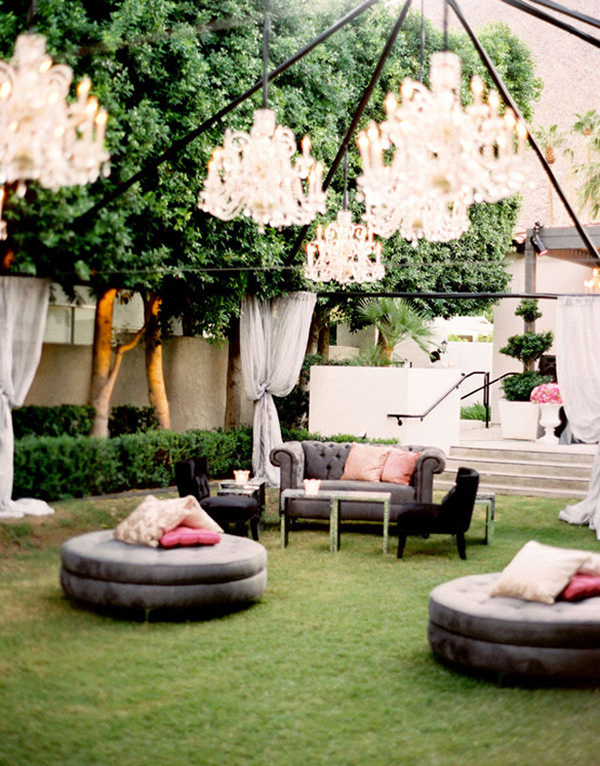 If you don’t have crossbeams up there on which you can hang the chandeliers, you may consider bringing a tent frame. 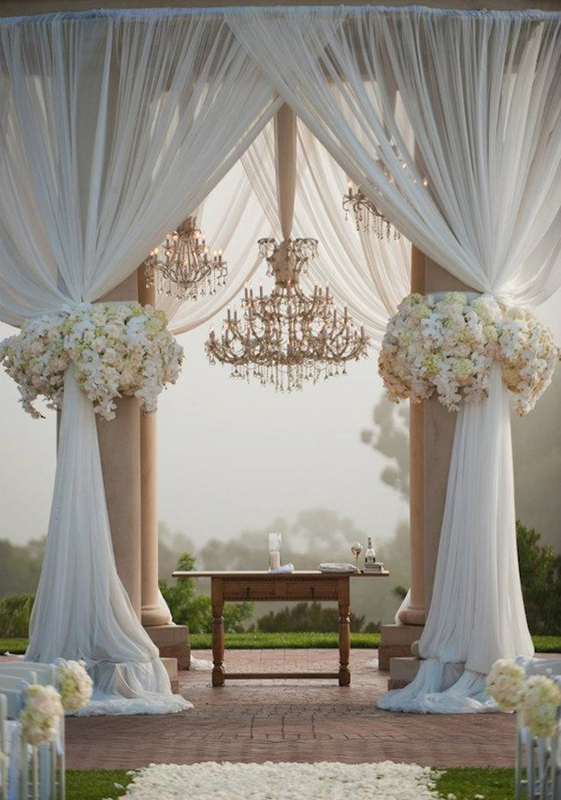 Constructions like canopies not only provide you with the protection from the bad weather conditions, but it is also a great way to demonstrate some stunning crystal chandeliers. 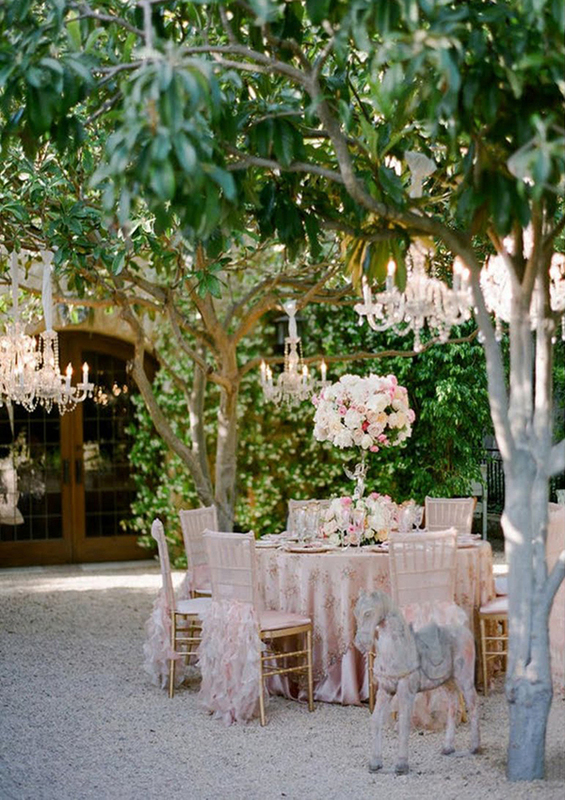 Tree branch is a perfect support for the crystal chandeliers that will both beautify your wedding reception and sparkle the trees.